Ramat Givat Zeev becoming one of the most sought after real estate projects in Jerusalem metro area. A rapidly growing number of Orthodox families from the Los Angeles and New York communities are purchasing homes in the luxurious Ramat Givat Zeev project, located on the outskirts of Jerusalem. Ramat Givat Zeev, which is being erected by Chish Nofei Israel at a fast clip, is anticipating providing the keys to its first residents within the next 18 months. This unique private community, has already been dubbed the “5 Towns of Jerusalem” by the hundreds of buyers who have already purchased a property. The new neighborhood is designed to mimic the popular Long Island, New York Jewish community by providing a wide range of services. A synagogue, mikvah and educational facilities will cater to the residents’ spiritual needs. At the same time, Ramat Givat Zeev’s lifestyle infrastructure is also being constructed, highlighted by lush green parks, as well as tennis and basketball courts, and a plush country club. All of these aspects have transformed Ramat Givat Zeev into one of the most sought after real estate projects in metro Jerusalem. Recently, a significant number of Los Angeles residents purchased dozens of homes in the project, which accentuates the growing popularity Ramat Givat Zeev amongst potential olim to Israel. The soaring interest in the project is such that Chish Nofei Israel anticipates selling out all of its homes in Ramat Givat Zeev within a year. 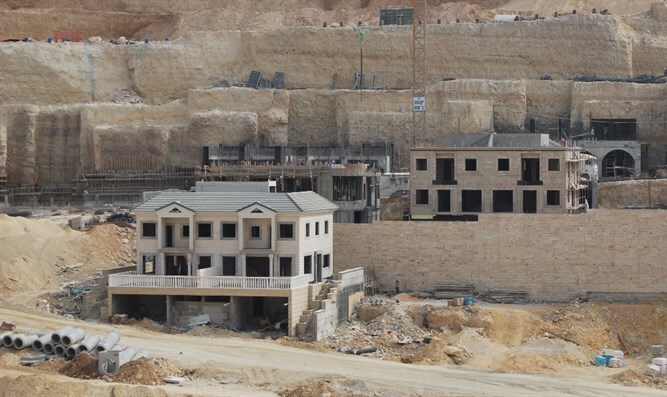 Chish Nofei Israel anticipates that demand will outstrip the supply of homes available, thus creating a lucrative market for the project’s original buyers, making it an excellent investment opportunity.